This morning, Turn 10 Studios announced a number of impactful changes coming to Forza Motorsport 5, including alterations to the amount of credits you spend for vehicles and earn for racing, as well as a pair of new race modes (full details on Xbox Wire). This week, I caught up with Turn 10 Community Manager Brian Ekberg, who explained the changes, as well as the community feedback that guided them. Jeff Rubenstein, Xbox: With this upcoming content update, you’re making some pretty significant additions to Forza Motorsport 5, including some noteworthy adjustments to the economy. Tell us about those. Brian Ekberg, Turn 10 Studios: I’m really excited about this content update for Forza Motorsport 5 because it involves a huge number of improvements across all aspects of the game. First of all, we’re adding two modes to the game – drag racing and multiplayer Tag. Drag racing is a no-brainer – we already have traditional racing and drifting events in Forza Motorsport 5, so the ability to pit cars against one another in quarter-mile, half-mile, and full-mile sprints just makes sense. We’ll have support for full 16-player drag racing lobbies, with one-on-one heats, as well as eight-player drag races, where all eight players are on the track at the same time. Keep the It: One player begins the match as “It.” The goal is for the “It” player to keep “It” status for as long as possible. “It” status transfers each time someone makes contact with the “It” player. Once the match timer has completed, the player with the most “It” time wins. Tag Virus – One player begins the match as “It.” Each time an “It” player makes contact with another car, the “It” status spreads like a virus. The last uninfected player standing wins the match. Pass the It: Similar to “Keep the It”, one player begins a “Pass the It” match with “It” status. “It” status transfers each time someone makes contact with the “It.” At the end of the match, the player with the least amount of “It” time wins. As you mentioned, in addition to these big feature additions, we’re also making some significant changes to the Forza Motorsport 5 economy, based on player behavior we’ve seen in game as well as feedback we’ve received from the Forza community. With this content update, we are dramatically increasing the rate at which credits are earned in the game. For example, the bonus amount earned when you level up in Forza 5 has more than doubled. A player using average difficulty settings will see approximately a 60 percent increase in credits earned per hour – a number that can be further increased by upping the difficulty settings. The flip side to awarding more credits is lowering the price of the best cars in the game. 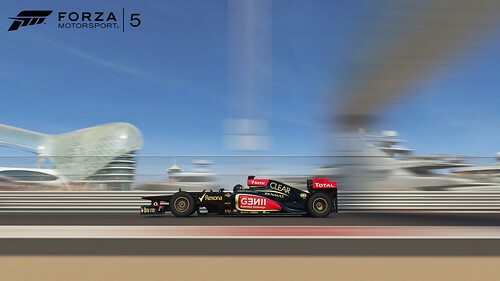 Cars like the Lotus E21 grand prix car – one of the fastest, most desirable cars in Forza 5 – has gone from 6 million credits at the launch of Forza Motorsport 5 to 2 million credits with this content update. Now, that’s still a lot of credits but, when combined with the reduced price with our increased credit payouts and features like our Forza Rewards loyalty program, even the most exclusive cars in the game are now within the reach of all Forza Motorsport 5 players. Xbox: It’s not just race payouts and car prices that are changing – Forza Rewards is also paying out millions more credits. Turn 10 Studios: Forza Rewards is our loyalty program, where people can earn in-game rewards like credits and cars just for playing Forza games. 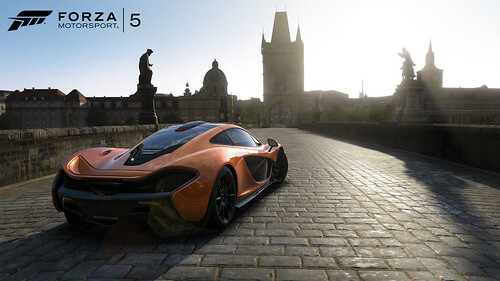 Players are ranked by “Tier” in Forza Rewards and you can increase your Tier by playing Forza games – doing things like driving a certain number of miles, earning achievements, increasing your driver level, and so on. The higher your Tier level, the better the rewards you can redeem each month, making it a great way to keep your credit coffers filled when that dream car comes around. For example, in December, a Tier 1 player earned 1 million credits in Forza Motorsport 5, while a Tier 6 player earned 6 million credits. In all, since the launch of Forza Motorsport 5, Forza Rewards has gifted more than 500 billion in-game credits to Forza 5 players. The best part is, everyone can get involved and start redeeming rewards right now. If you’ve played any Forza game in the past, just head over to the Forza Rewards site (make sure you are logged in to the site) now and redeem your December rewards. Xbox: This is the first major post-launch content update. I’m assuming we’ll be seeing more post-launch support for some time? How does Xbox One change your approach to post-launch content? Turn 10 Studios: The beauty of the Xbox One is that it enables game developers to easily update and evolve their games over time. We are now able to be more nimble and reactive to in-game behavior as well as the feedback from Forza players from all over the world. The economy adjustments we’ve made are an ideal example of that – we were able to make some sweeping changes to the economy that will be a huge benefit to every Forza 5 player out there, just a few weeks removed from the launch of the game. 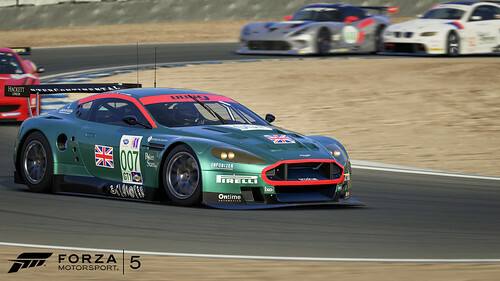 This is just the first content update for Forza Motorsport 5. Over the coming months we’ll be making further improvements to the game, including more new content, feature additions, and gameplay changes. I can’t go into detail about those now, but players are certainly in for a treat. Xbox: What role does community feedback play in the post-launch roadmap for the Forza franchise? Turn 10 Studios: Community feedback is crucial to every step of the Forza Motorsport series. We value the passionate fans we have and welcome their comments about every aspect of our games, whether positive or negative. You can see examples of this throughout Forza 5. For example, two of the new tracks in the game – Spa-Francorchamps and Bathurst – are probably the two most requested tracks by the Forza community in the history of the series. 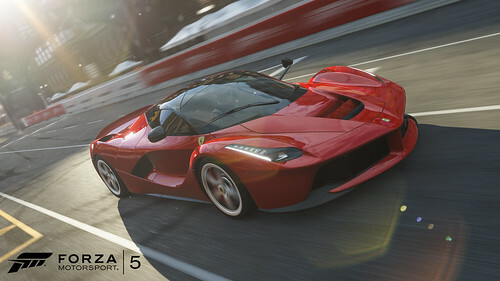 Open-wheel cars – another new addition to Forza 5 – have also been requested by fans for years. We’re always interested in hearing what the community has to say – from the cars they want to drive, to the tracks they want to race on, as well as ideas for new modes and features and feedback on what’s working and what isn’t. The community is a crucially important aspect of the Forza experience, and their feedback is what helps us continue to make Forza Motorsport games as good as they can be. Xbox: What’s the best way for Forza fans to get on Turn 10’s radar with their feedback? Turn 10 Studios: There are lots of ways to get in touch with us. We’re on Twitter and Facebook and, if you have a specific technical question, you can reach out to us via our customer support e-mail address. You can always reach us at the official Forza Motorsport Web site: http://www.forzamotorsport.net/ if you want to find out more about Forza games and what’s happening in the community.